a network of highly trained professionals to complete any project. reality shows, advertising projects, and live events. meet the needs of our many clients. providing services to the television community. The old shopping cart trick! Dave Ross is an Emmy award winning shooter with international experience and is our lead photographer. 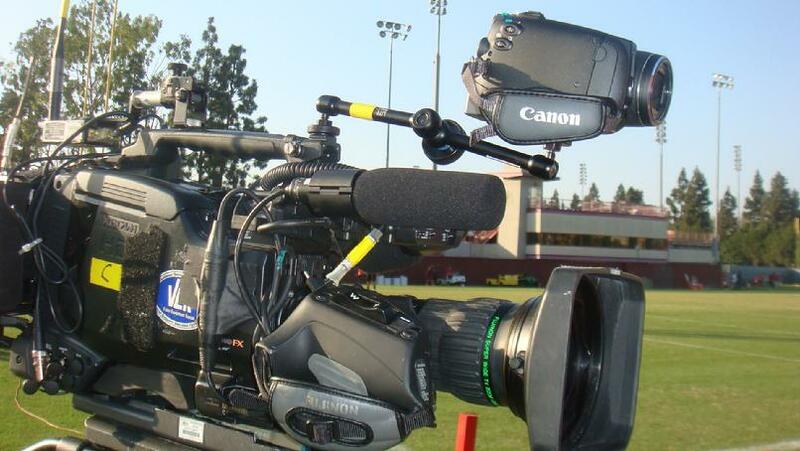 He has experience with all formats and many different camera configurations including jib arms, robo and Fletcher cams, car mounts, dolliy configs, pov cams...plus a broad range of live, live to tape, flypak and ENG acquisitions. Dave is at home in the field or at the studio using handheld, hard cams, and pedestal cameras. Feel free to give Dave a call for booking information.